John Stefanie has been a clinical instructor for 10 years; he graduated from Gwinnett Technical College and has been with Emory ever since. Stefanie enjoys helping medical imaging students succeed in each individual exam, and his teaching technique involves coaxing the students to assume the role of technologist with his support and making them think outside of the box. His philosophy is that students “know the information needed, they just need the confidence to do it.” When students inquire about the correct technique to use, Stefanie always asks what they think is right, and turns their questions into a learning opportunity. Stefanie believes in hands-on education and allowing the students to think about the situation at hand before offering the answer. Stefanie has a love for aviation, but when 9/11 occurred he decided to change his career path. 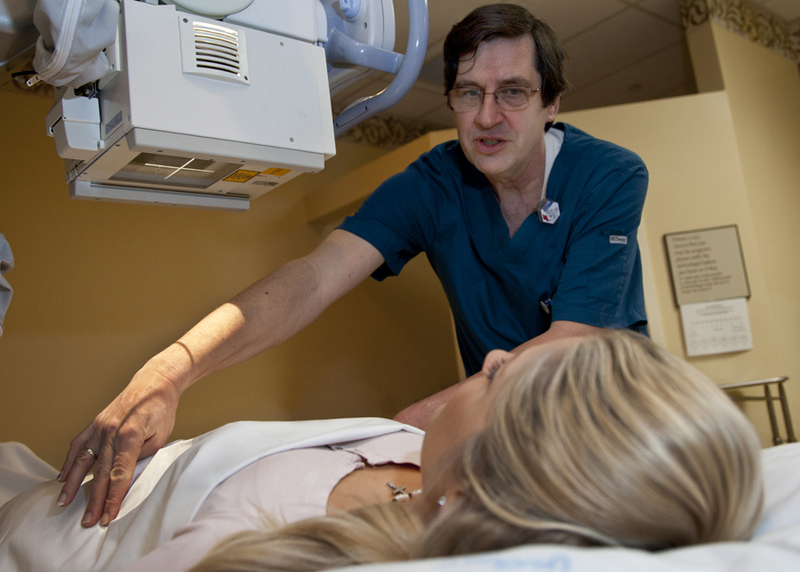 With the help of his wife, a CCU nurse at Emory University Hospital, and his past experience in medical imaging sales, he chose the field of radiology. In his spare time, Stefanie enjoys spending time with his family, which includes three children and one grandchild. The Medical Imaging Program thanks Stefanie for his service to the program and his dedication to our students.